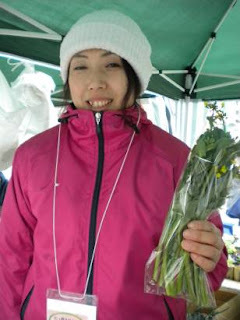 Kimura-san, a farmer from Aizu Wakamatsu, at the Nippori Farmers Market. She makes a mean pickle, too. The fifth anniversary of the Tohoku earthquake and disasters is sobering to consider. Five years ago today I experienced something I never hope to again and watched in helpless horror as countless people lost lives and livelihoods. The last five years have seen some positive changes, but there is still plenty of work to be done. My heart is undoubtedly with the people of Tohoku, who are among the best I have had the honor to meet in my lifetime. Many of them can be found at the markets, still working away and bringing the best they have to you and yours. Please go and support them.